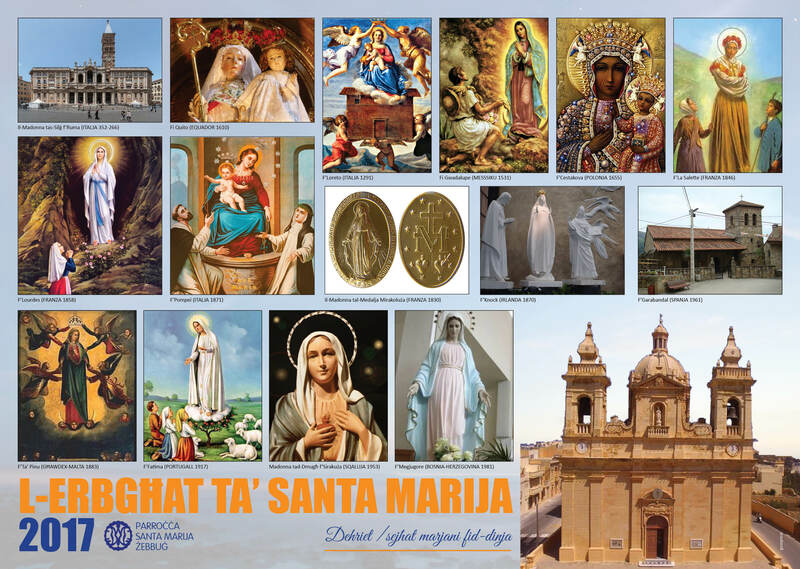 The first of the fifteen Wednesdays of Santa Marija began on the 3rd of May. The Archpriest said the Mass and delivered the homily about the Sanctuary of Our Lady of Snow now known as Saint Mary Major in Rome. The homilies during the Wednesday Masses will focus on the various miraculous appearances of the Virgin, both those which are approved by the Church and those which are not. Image by: Poster given to all children to fill with stickers given every Wednesday!